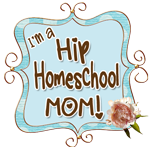 Thank you for taking the time out of your day to read about our homeschooling life! Throughout various posts you will see many many recommended books. The majority of these books are linked to our Amazon affiliate account. This means that if you buy one of my recommendations after clicking on my link you will be blessing our family with a small percentage of the sale. We appreciate your interest in our recommendations!